Russia denies allegations it orchestrated the huge assault last summer. The UK has publicly accused Russia of staging last summer's NotPetya cyber attack. Defence Secretary Gavin Williamson said Russia was "ripping up the rule book" and the UK was duty-bound to respond. Foreign Office minister Lord Ahmad of Wimbledon sadi the move was the UK's way of showing it will 'not tolerate malicious cyber activity'. He said: "The UK government judges that the Russian government, specifically the Russian military, was responsible for the destructive NotPetya cyber attack. Its reckless release disrupted organisations across Europe costing hundreds of millions of pounds. The Kremlin has positioned Russia in direct opposition to the West yet it doesn't have to be that way. Russia, on the other hand, denies the allegations, saying that its companies, too, were victims of the NonPetya ransowmare attack. NotPetya was designed to spread damage rather than collect money, experts says. 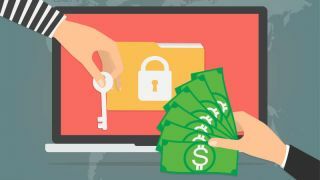 They have suggested the attack may have been disguised as ransomware to make it appear to be criminal led when it may have been state sponsored. The malware initially spread through an accounting program used by organisations working with the Ukrainian government. It affected several parts of the country’s infrastructure including banks, airports and railways. It then spread globally through phishing emails, which are disguised as legitimate communications but ask for sensitive information like passwords.